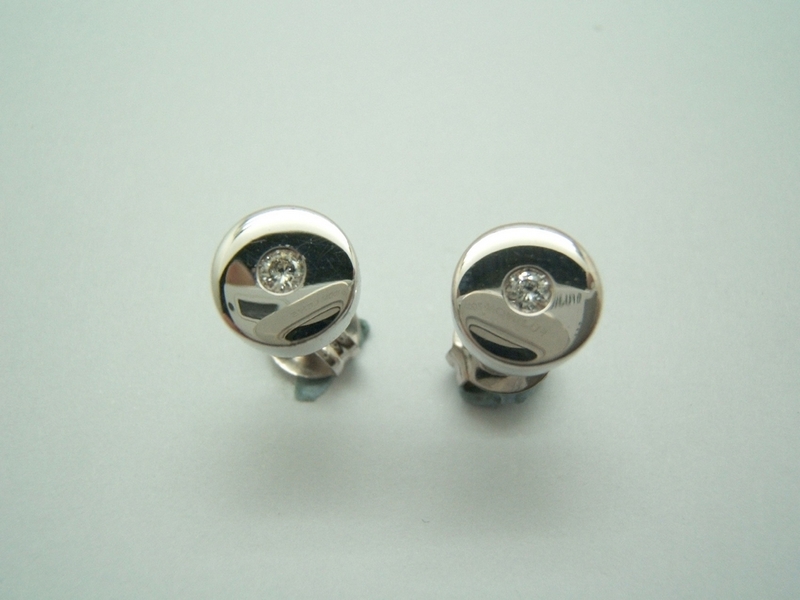 Earrings in white gold with Palladium of 750/000 with two diamonds brilliant-cut of 0.06 carats total weight, quality: H color purity if. The closure is pressure or butterfly. This part is made by master craftsmen. as it established in the resolution of the Nations United, them diamonds here described have been acquired of sources legitimate not involved in the funding of conflict any, as you consists to the seller, already is by knowledge Express as by guarantees by written of the provider of them diamonds.